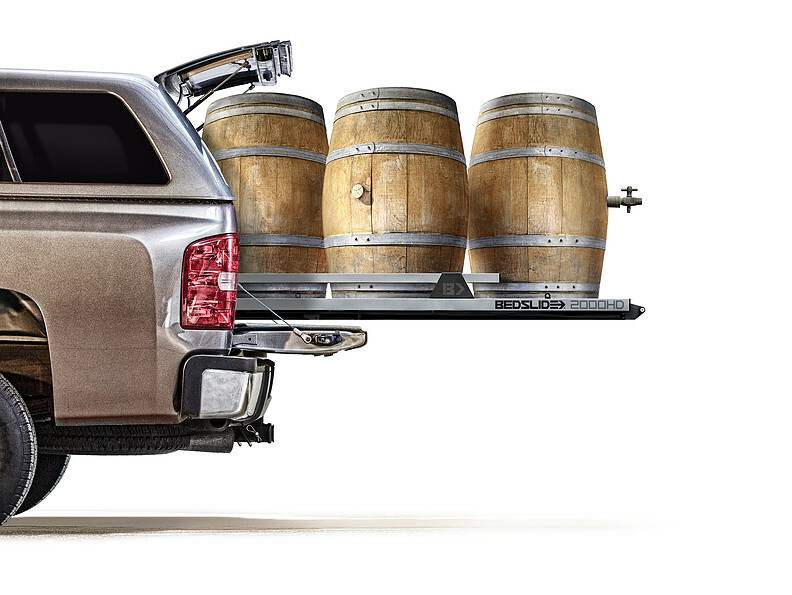 BedSlide Truck Bed Slides and Slide Out Cargo Platforms make loading and unloading your truck extremely easy. The BedSlide Truck Bed Slide is a slide out cargo platform that turns your truck bed into a sliding drawer that can easily handle even the heaviest of loads. 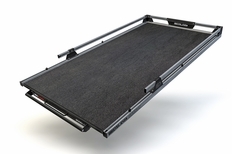 With your BedSlide Sliding Truck Bed Drawer / Cargo Slide, you'll be placing your cargo on a USA Made rubberized skid-proof deck that keeps things in their place. The full width grab rail/bar makes pulling out or pushing back in your BedSlide fast and easy. There are multiple locking positions to add extra convenience and safety, as well as 4 adjustable tie down cleats to anchor your loads as desired. The BedSlide Heavy Duty HD Series is the strongest version of the BedSlide and is rated at up to 2000 lbs evenly distributed. The BedSlide Heavy Duty HD Series features a 3/4 extension, meaning the slide will pull out 3/4 of the way. Backed by a Lifetime Warranty, your new BedSlide will be hard at work for years to come. BedSlide Truck Bed Slides / Sliding Cargo Drawers come mostly assembled for a quick and easy installation. Due to their strength, BedSlides are heavy, so if you're installing a new BedSlide yourself, you'll probably want to invite a friend to help. The part number for this part is BedSlide 20-7548-HD and it fits 1970-2016 Chevy Silverado and GMC Sierra trucks with a 6 1/2 Foot Bed. Check out the video demo of a BedSlide in action below! Please note that the model of Bedslide you purchase may vary slightly from the one in this video. Locking Positions: Lock available every 10-12 inches including lock positions of closed and fully opened. Install Time: 1 hour. Professional installation recommended, primarily due to the weight of the item. Installation over bedliners is not recommened as adjustement may need to be made and bedliner characteristics vary. For aluminum beds use installation part HALUMKT. Improper installation can lead to corrosion.